Congratulations to Tom Rowe, Marketing Executive, for being named employee of the quarter! 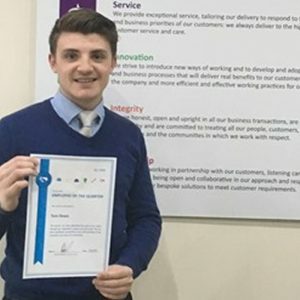 Each quarter, the MCL Resourcing team are asked to make their nominations to award an employee whom they feel consistently demonstrates the company’s core values, going above and beyond to exceed expectations. Well done Tom! We hope you enjoy your well deserved certificate and £250 voucher.